Newly reformatted workbook from Seton Press. Students read their spelling words in 36 lessons covering Old Testament Bible stories, then learn and review specific spelling rules. 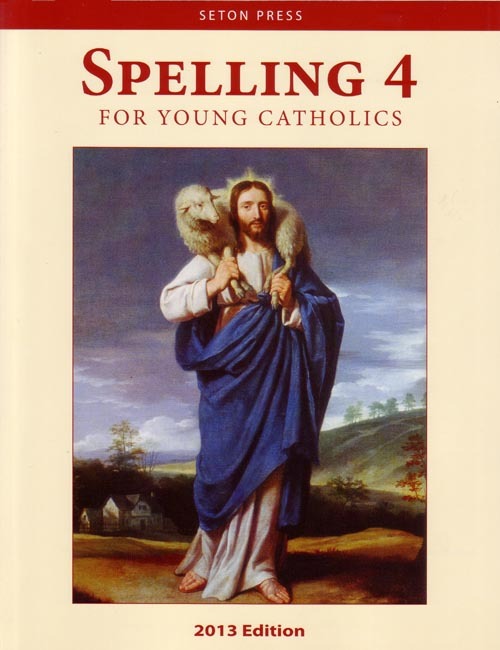 Includes exercises in syllabication and alphabetizing. Reformatted interior with more than double the pages of the 2003 edition. New Exercises, including "Sort by Spelling," "Definitions," "Missing Words" and "Story Time." Reference Index of Spelling and Phonics Rules. Complete Answer Key - in the back of the book. Two color text with full color classic religious art. 2013 Copyright. 8.5 x 11 inches. Soft cover. 185 pp.